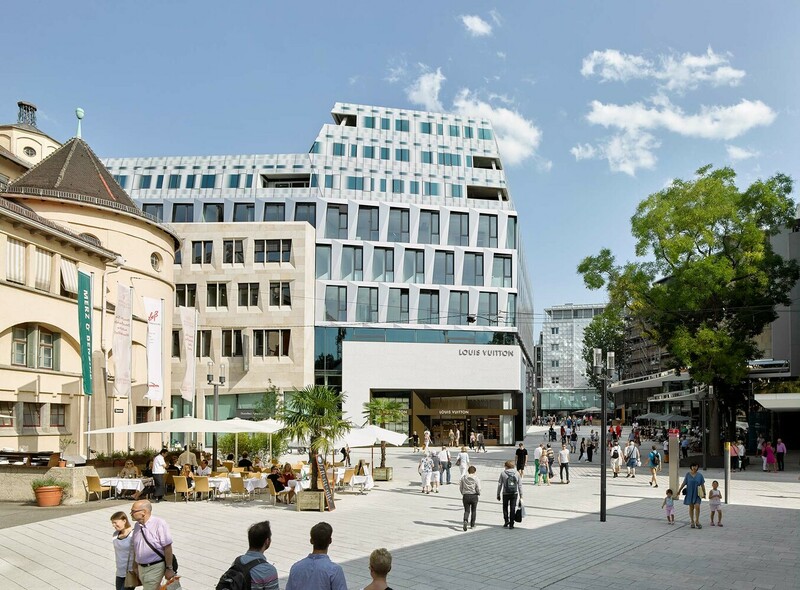 The re-planning of the Dorotheen Quartier not only creates new areas for public use, it also offers a unique opportunity to reassess the relationship with the Karlsplatz arcade. This thoroughfare has, until now, always been perceived as the less important “back” of the site, situated behind the Breuninger Department Store, and leading towards Sporerstraße and Karlstraße. With this project, which includes three mixed-use buildings with offices, small-scale retail and urban living, the highly valuable central city core is now infused with a new identity and vitality – complete with a broad range of user activities. 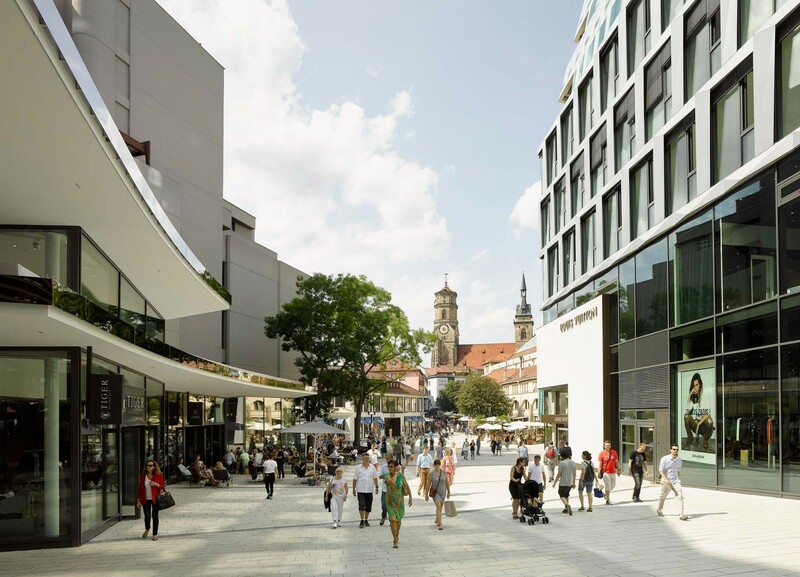 Thus, the new area augments Stuttgart’s existing, thriving network of lively pedestrian areas. There have been some major changes to the scheme since Behnisch Architekten won the competition in spring 2010. The building of the former Hotel Silber has been preserved. Here the state of Baden-Württemberg committed itself to install a memorial, in memory of the building’s the former use as a Gestapo headquarter from 1937 to 1945. The preservation of this building, which was almost completely destroyed during World War II and subsequently rebuilt in a different appearance, has led to a complete restructuring of the original design. Now the buildings restrain themselves towards their surroundings in terms of height and size. 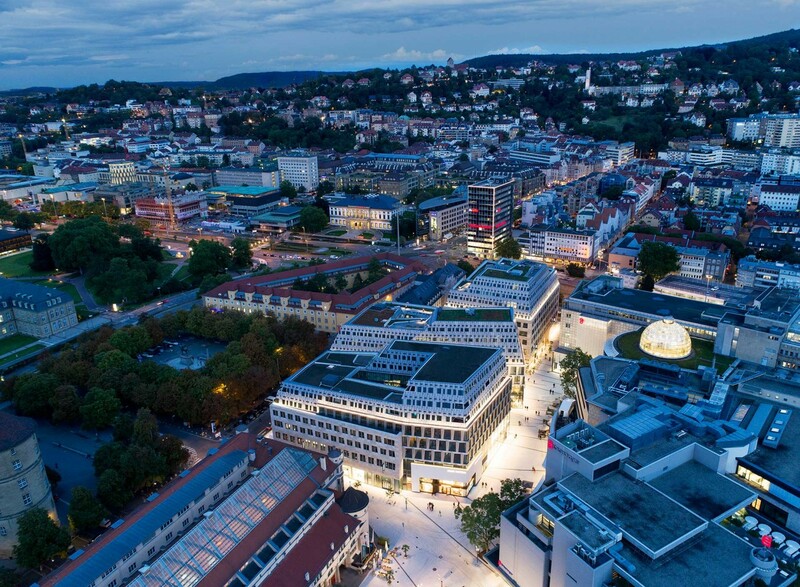 At the same time they respond expressively in their architectural appearance to the urban characteristics of Stuttgart. 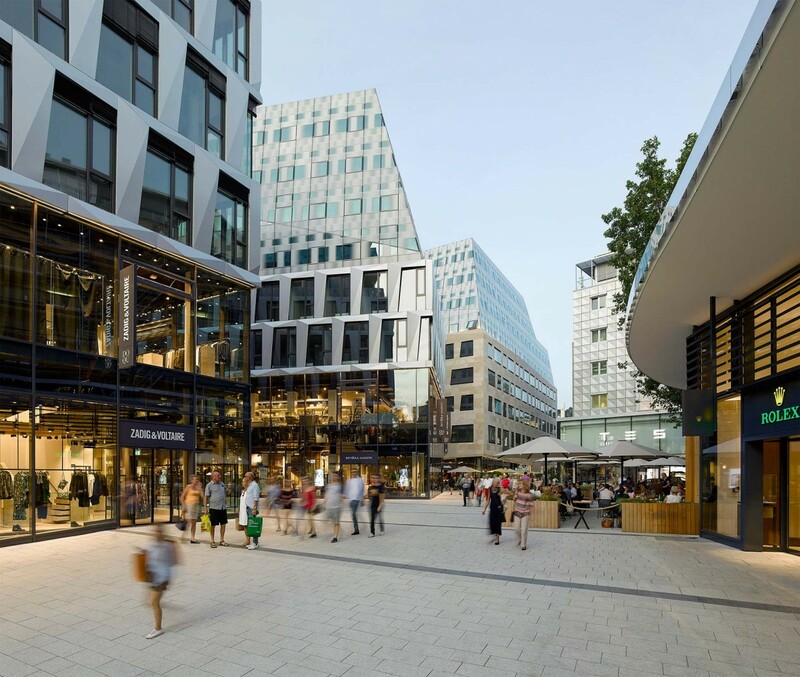 The design broadens and divides the existing Sporerstraße into two squares – the Dorotheen Platz and the Sporer Platz – and connects both to the lively town square in front of the Market Hall. A generous gateway and properly framed views assist in creating the opportunity for constant circulation between the existing sites and the new development. 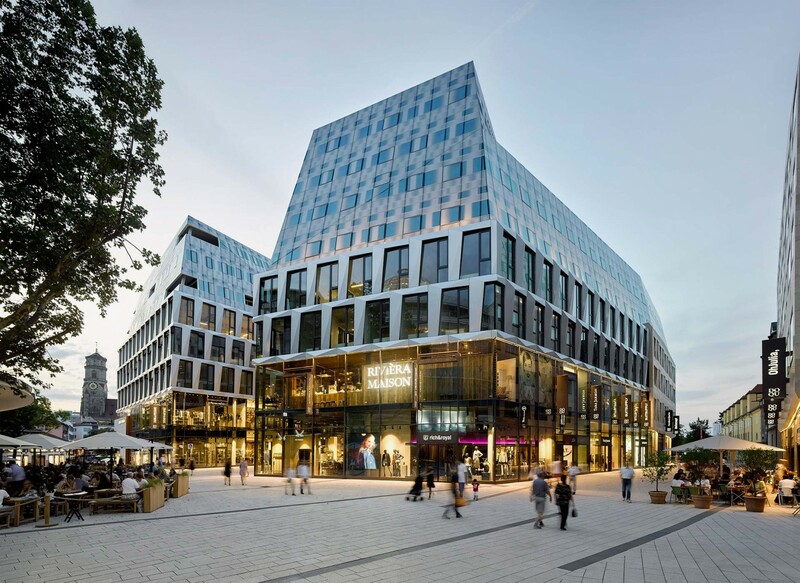 A new visual link between Markthalle and Karlspassage aids in connecting the disparate elements of the square, thereby increasing the attractiveness of the Dorotheen Quartier. 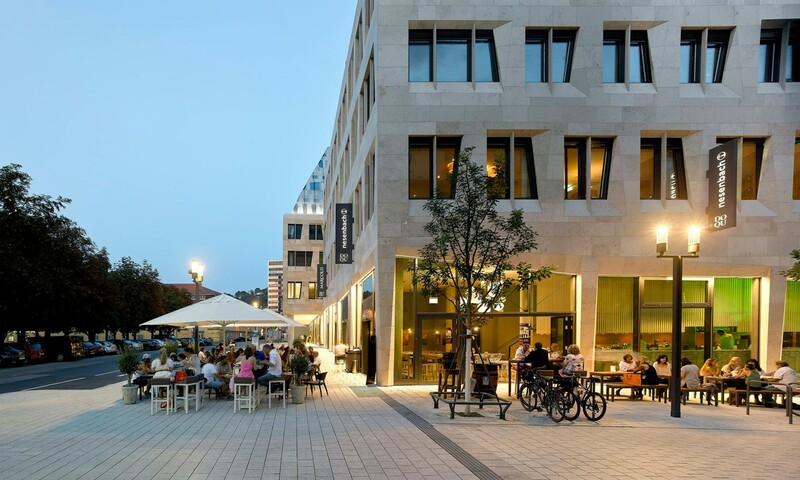 The objective of the entire reorganization was to create an urban space in the city center with no ‘rear sides’ and in this manner to create a public realm that is instead flanked by a variety of equally attractive, high-quality frontages. New elements supplement the existing urban structure. The scale, form and configuration of the three new buildings aim to integrate themselves seamlessly into the city’s existing and historic urban fabric and character. 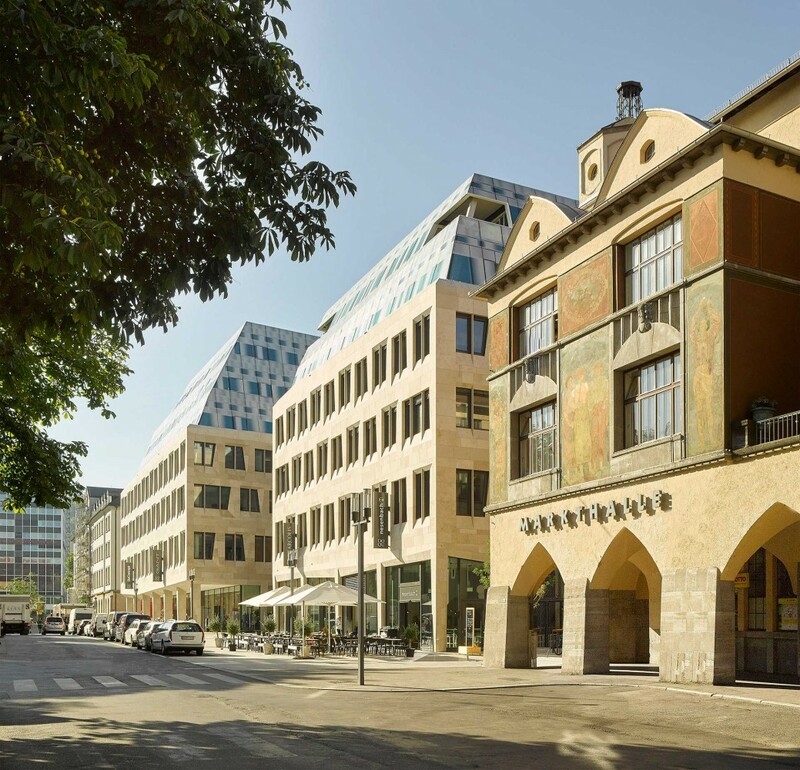 In this regard, the rooflines of such historic structures as the Markthalle, and the geometries and axes of the public plazas such as Karlsplatz have played an important role in informing the design of the Dorotheen Quartier ensemble. In the city of Stuttgart, the unique topography of the ‘city basin’ has, in essence, established a ‘fifth facade’ for each building: the roof. The ’roofscape’ here has particular significance in a place where, from any vantage point, the roofs across the landscape always serve as icons identifying landmarks and destinations in the city.